1.1 No legit account, even if blue tick verified, is “giving away” any valuable cryptocurrency! 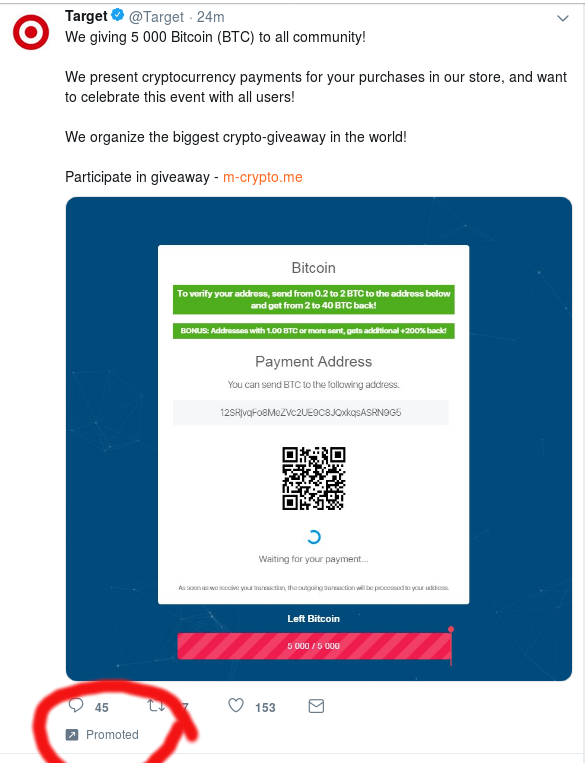 The Target Twitter account was hacked and is actively promoting a Bitcoin scam. At the time of this writing, the scammers had accrued almost 6 BTC (approx U$ 38,000). Great innovation, now I can pay for my purchases using Bitcoin, thank you https://t.co/NWxgdqNDlg! Other retailers, such as The Body Shop, also took note (and were skeptical themselves). 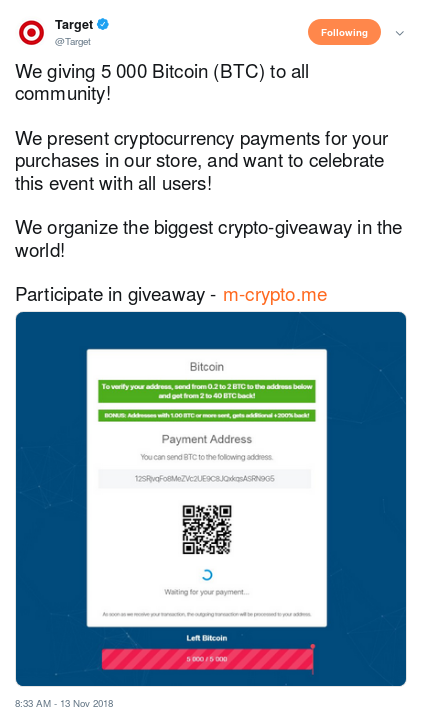 No legit account, even if blue tick verified, is “giving away” any valuable cryptocurrency! Let’s help stop this terrible wave where naive users lost their crypto in obvious scams.